In late October, I was in Arizona to address the Arizona School Administrators on the science of influence. Jane and I went out early to enjoy the weekend in Scottsdale and spend time with friends. During our stay we had the good fortune to share lunch with Robert Cialdini, PhD., and his wife. The morning we were to dine, while on the treadmill, I pondered what we might talk about and what gem I might take away from our time together. In the midst of that run I came up with my own gem. Understanding the science of influence isn’t a magic wand and it’s certainly no guarantee you’ll get everyone to do what you want. There are still plenty of times when I don’t get the response I want and even the master himself, Dr. Cialdini, doesn’t always get what he wants. As the treadmill sped under my feet and my mind raced along I thought about a story Dr. Cialdini shares quite often when he speaks. Many years ago he was a member of a gym and one day he happened to lock his keys and wallet in the trunk of his car upon arriving at the gym. He asked Paul, the guy folding towels behind the front desk, if he could use the gym’s phone and was promptly told no. He persisted, explaining his situation and reminding Paul he’d been a member of the gym for years and that surely Paul recognized him. Paul didn’t budge from his original answer because of a bad experience with another member who abused the phone privilege the week before. 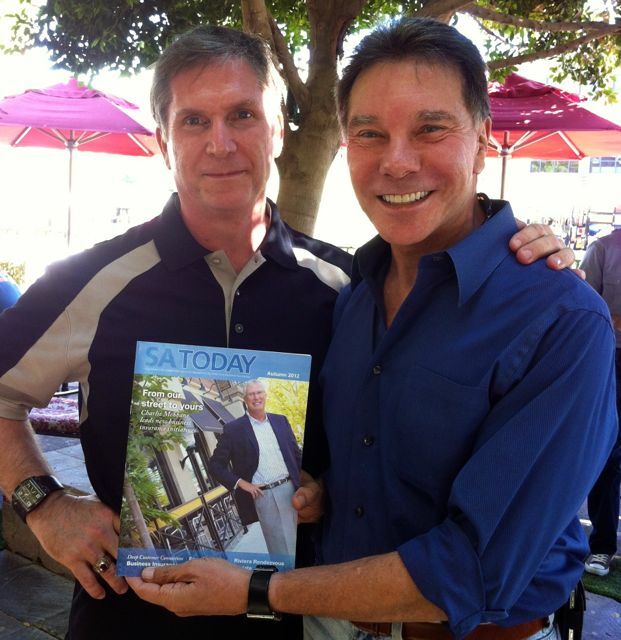 Dr. Cialdini announced, “You’ve just lost a customer,” and walked out. Despite his best effort he was no better off and had to panhandle a quarter in order to call someone to come help him out. A couple of principles of influence were at play in the conversation – liking and scarcity. Liking was at work because of Dr. Cialdini’s and Paul’s familiarity with each other. The connection obviously wasn’t strong enough because it didn’t persuade Paul to let him use the phone. Scarcity was at play because Dr. Cialdini let Paul know he stood to lose something, a long-term customer. This didn’t move Paul either because he still didn’t allow him to use the phone. As I thought about this it took me back to my day job – sales training with State Auto Insurance. In sales we place a lot of emphasis on knowing your customer because they’re not all alike and different things motivate different people. For example, at independent insurance agencies, a field rep wouldn’t want to talk about winning trips and earning a bonus to customer service reps because they usually don’t get to enjoy those awards. In fact, talking about those things can cause resentment. Understanding what motivates the CSRs then tailoring communications using the principles of influence will be far more effective. Back to Dr. Cialdini and Paul. It’s my guess that Paul was probably a minimum wage guy and wasn’t about to possibly get in trouble by allowing anyone to use the phone after getting an earful from his boss the week before. Dr. Cialdini, likely caught up in the emotion of the moment, announced the gym would lose a customer but even that didn’t matter to Paul because it’s doubtful his pay was tied to customer retention. He was paid to follow the rules and guidelines. So what could Dr. Cialdini have done differently? Setting emotions aside and understanding his audience might have changed his actions. Perhaps there was nothing that was going to get Paul to change on the phone issue but recognizing Dr. Cialdini as a gym member he could have allowed him inside where Dr. Cialdini might have used someone’s cell phone or borrowed a quarter from a familiar face. Either option would have been better than panhandling strangers to get the needed quarter. I first heard this story many years ago and I’m not sure why it came to the surface at this time but whatever the reason, we should all be encouraged. Even the master fails sometimes so we should never let failure deter us. The right response should be to learn from the situation and resolve to try a different approach the next time. Do so and soon you’ll find yourself successfully persuading more often than not and that will lead to more professional success and personal happiness. Always a good article. Thanks for the reminder. Thanks for reading and commenting Anthony. No individual, not team wins all the time so we can all improve. Very wise words Brian. Without failure we struggle to appreciate success and push ourselves further to achieve the things we desire. Great post!